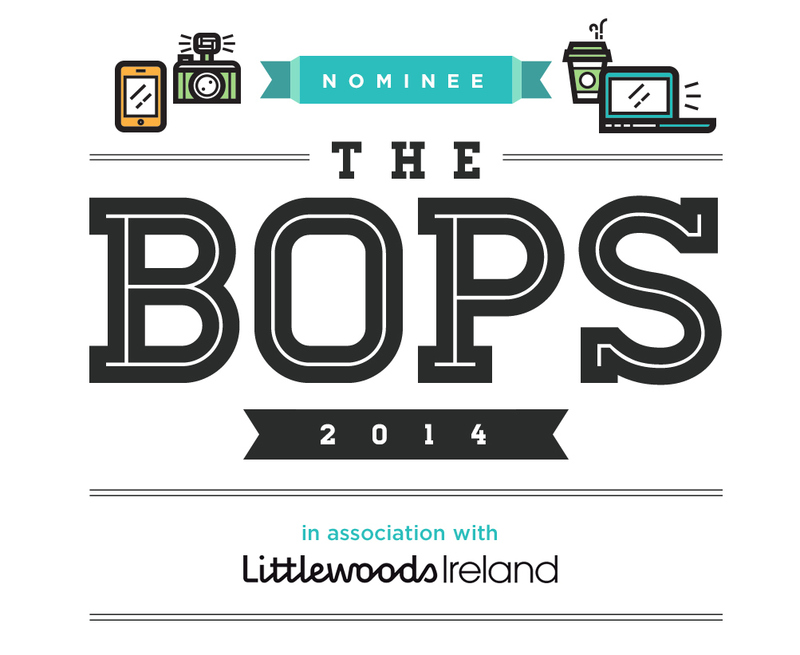 Bloom 2015 – what can I say….? Bloom 2015 has come and gone. Five days. Five days that were probably some of the best of my life. 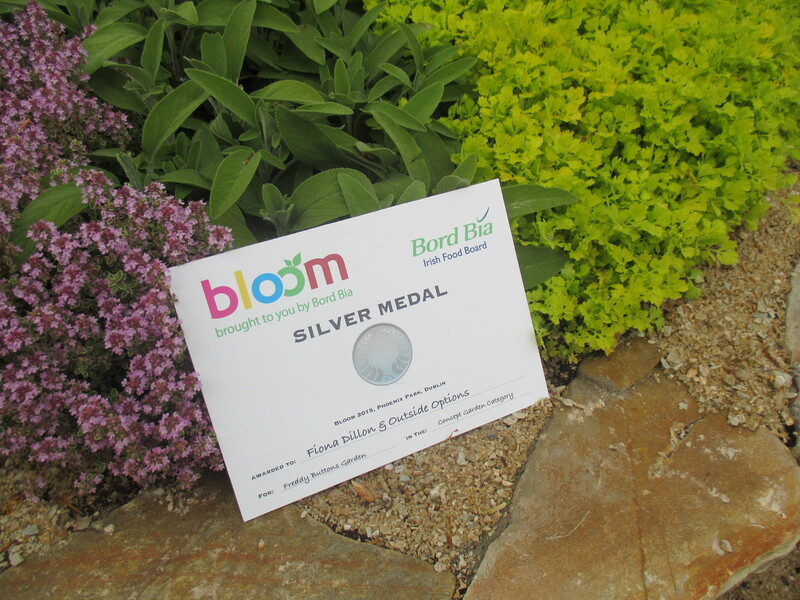 In past years I have visited Bloom as a “tourist” or as a guest of Bord Bia. This year was completely different. 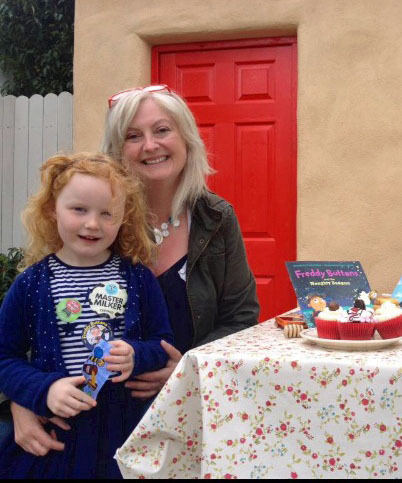 This year I had my own garden to launch the eagerly awaited first series of my Freddy Buttons food adventure books. I actually don’t know where to start to tell my story of Bloom. It was a whirlwind of monstrous proportions. 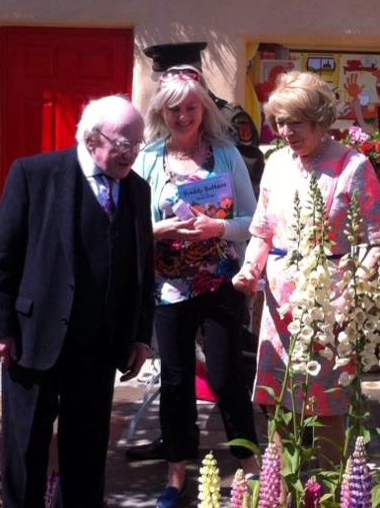 It was full on, non stop talking, laughing and meeting the most amazing people (including none other than our President, Michael D Higgins and his lovely wife – we had a great chat). 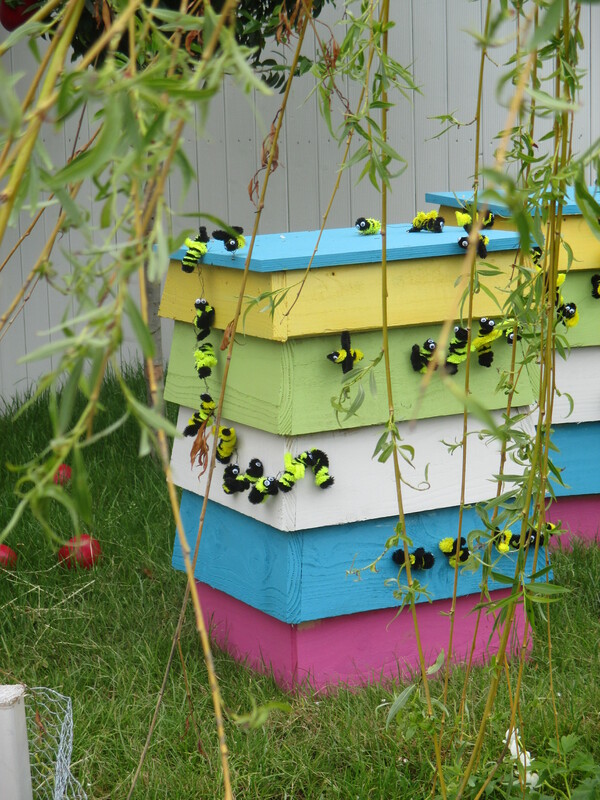 You see, when you have a garden at Bloom, you see things from a completely different perspective. I was determined to be there to talk to all those people who made the effort to visit the Freddy Buttons garden. And, oh boy, did people visit the garden – in their thousands. When I left to do interviews, Eamonn and the children took over. I’m sure it comes as no surprise to you that it was a real family affair. And indeed Glenisk, who sponsored the garden, were like extended family – all rowing in to ensure that things ran smoothly. I couldn’t have asked for more. I met friends that I hadn’t seen in years who made a special effort to come see me at the garden. My blogging friends turned up to support me. 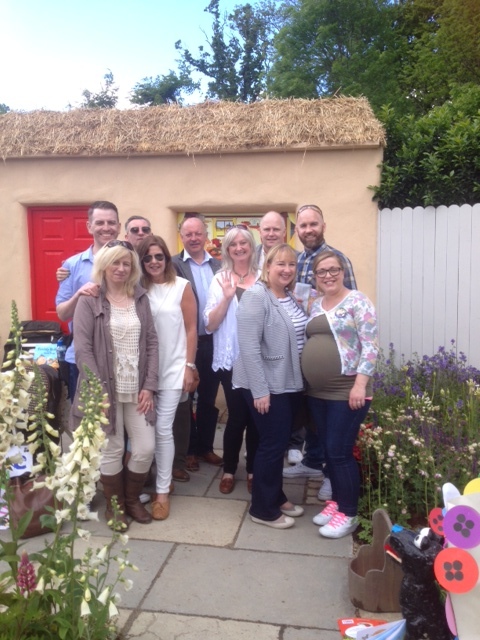 The Foodies were out in force – recognise anyone? 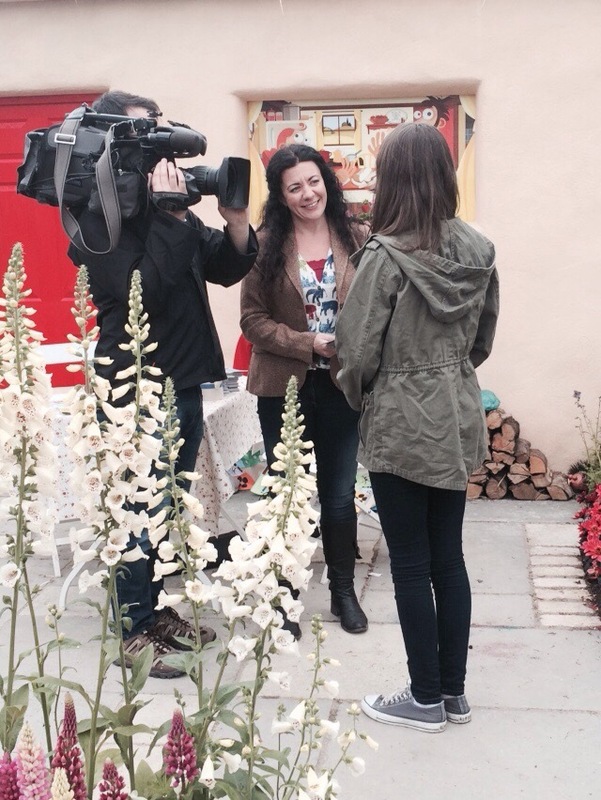 Ruth did a great job of filming with TG4 as gaeilge. Old friends, familiar faces, radio interviews, cameras, photocalls – it all went by in a blur. I was so incredibly touched by all the kind words. 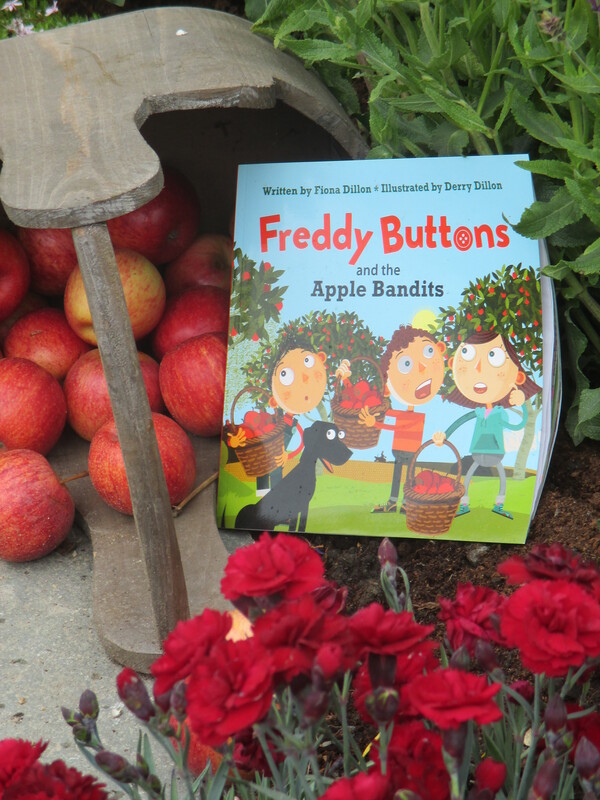 People were genuinely in love with the Freddy Buttons garden. Children made posters for the garden. I didn’t expect any of this. I knew Alan from Outside Options would produce exactly the garden that was in my head. 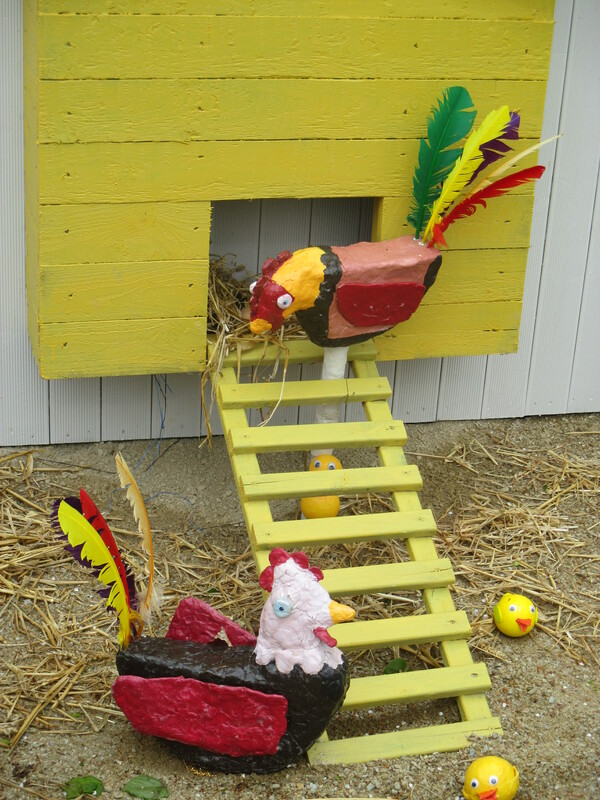 But it was in my head – and I really thought that only the children would “get it”. Turns out I was wrong. 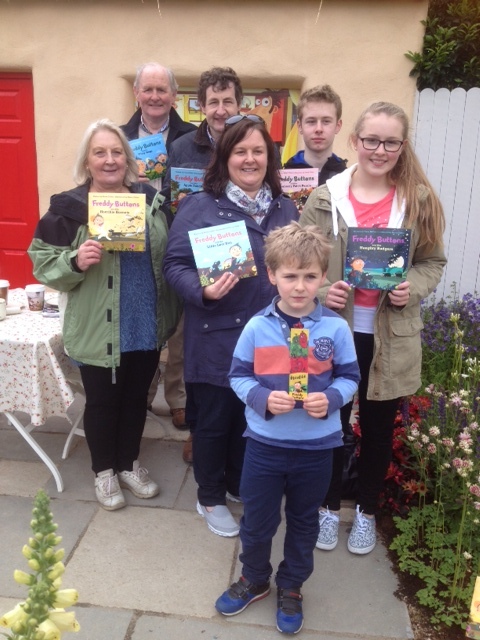 The adults loved the garden too. They loved the concept of growing food in the garden and they loved the feeling of nostalgia it gave them – bringing back memories of years ago when it wasn’t unusual for grannies and grandads to have chickens in their yards, lupins in the garden and a fine harvest of potatoes from the vegetable patch. 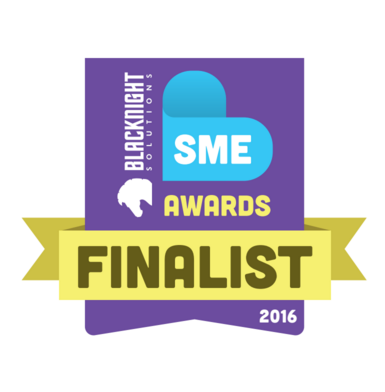 Seriously, who’d have thunk it!!! 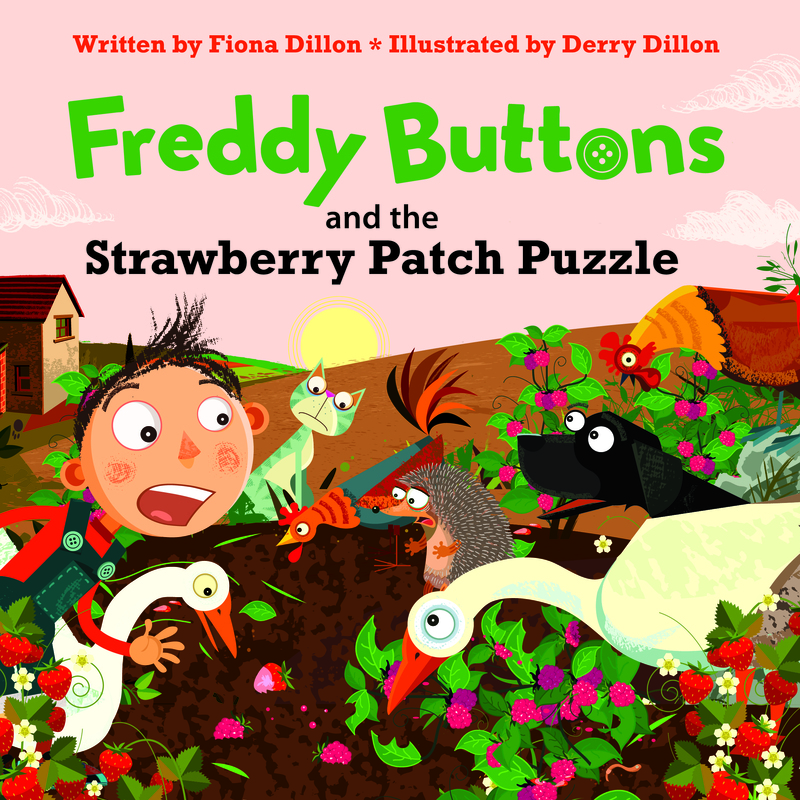 Thanks to Glenisk, we had Freddy Buttons tshirts and Freddy Buttons stickers and Freddy Buttons bookmarks and thousands upon thousands of children(and adults) toddled off delighted with themselves and their little goodies. It was magical. 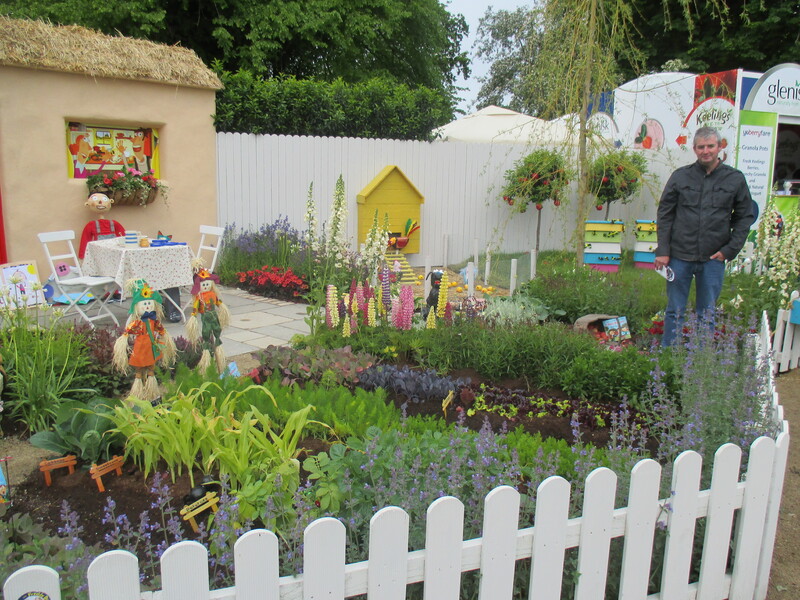 And I have to give a big shout out to my beloved Irish Country magazine who won a gold medal for their fabulous garden. Be sure to check out my feature on strawberries in the current edition. 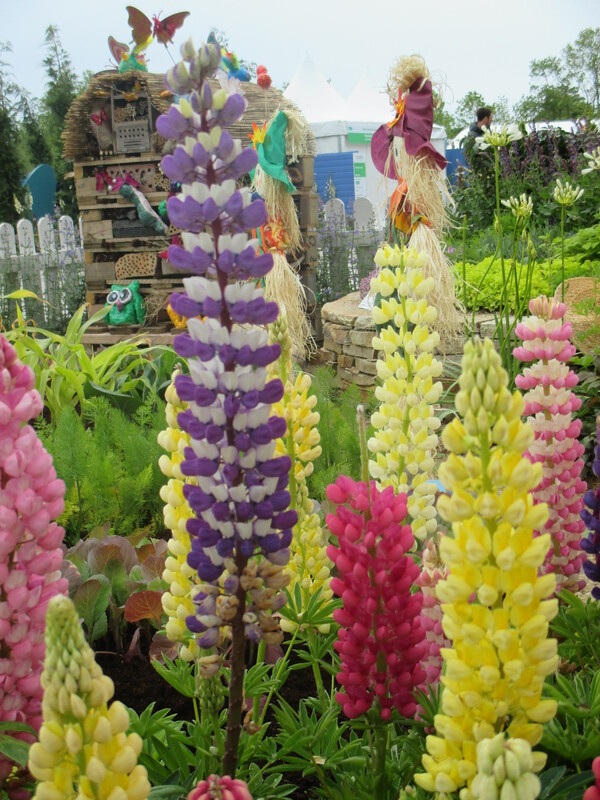 Anyway, to finish up, here’s a taste of what my garden at Bloom was all about. The latest edition of Irish Country magazine is in stores nationwide now. me, would spend quality time in it. Best of luck with your book.